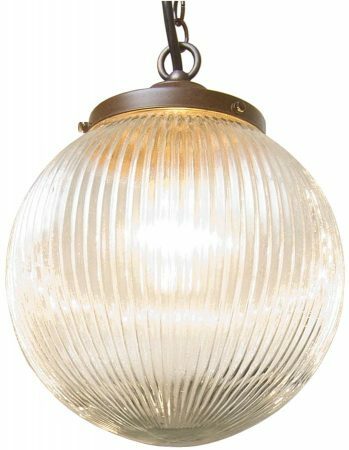 This antique finish prismatic globe pendant is designed in the 1920’s vintage style and hand-crafted in Britain. Featuring an antique brown finish ceiling mount, chain suspension and shade gallery supporting a 203mm diameter hand-made clear reeded prismatic glass globe. Also available with polished chrome metalwork (PRISM3837) for a small additional cost. Please contact us or telephone 0151 650 2138 to order this option. Hand-made to order, please allow up to two weeks for your order to be crafted and delivered. As well as antique glass lights we offer a large choice of materials in our industrial inspired lighting section. 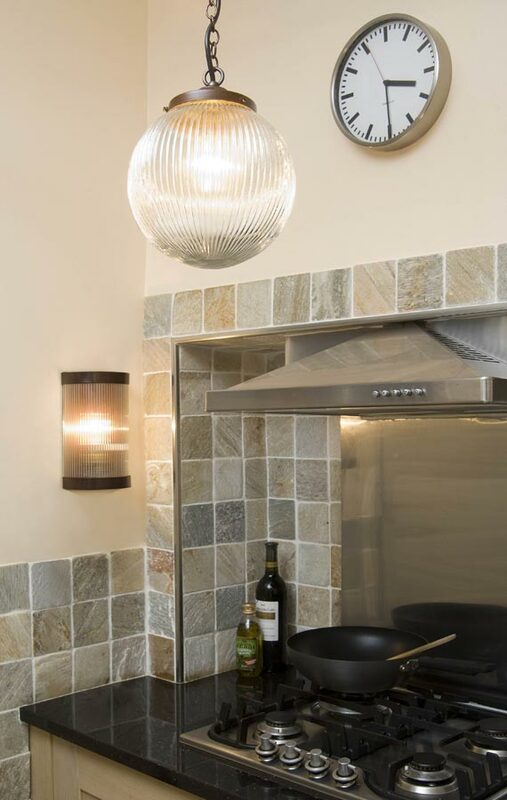 Lighting finishes include copper, brass and chrome and come in a large range of options from single bulbs to pendants with multiple lights. What is the IP rating of this light please? This light is for internal use only, it is rated at IP20.